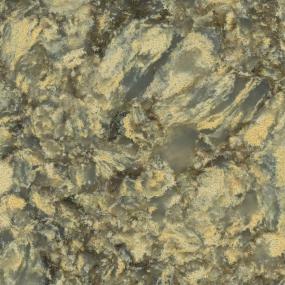 Natural rock is variable by nature ... colors and patterns may shift and change on a large slab. Surface pits are a mark of granite. Engineered stone on the other hand, displays a "consistent variability" or mottling in color and texture throughout a quartz countertop. 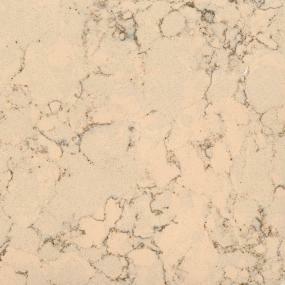 Each slab looks the same, which helps minimize the visible seams that often plague granite countertop installations. The actual appearance of the quartz surface varies depending on the size and mix of the granules. Smaller, finer crystals give a more uniform appearance, while larger ones provide a more mottled look. 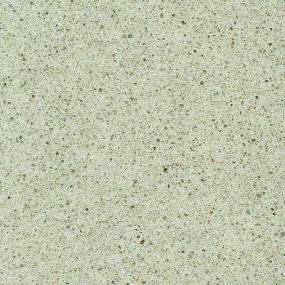 Quartz surfacing is available in colors not found in nature, as the crushed stone is generally mixed with pigment. Take advantage, and choose a color that dazzles while still looking like stone. In addition to granite, some manufacturers produce engineered stone that looks like marble, travertine, concrete, and other natural stone. Since they are solid, the color and natural mottling from the quartz crystals runs throughout the material. Slabs are fabricated into countertops with edge profiles that range from simple bevels to bull nose and ogee.